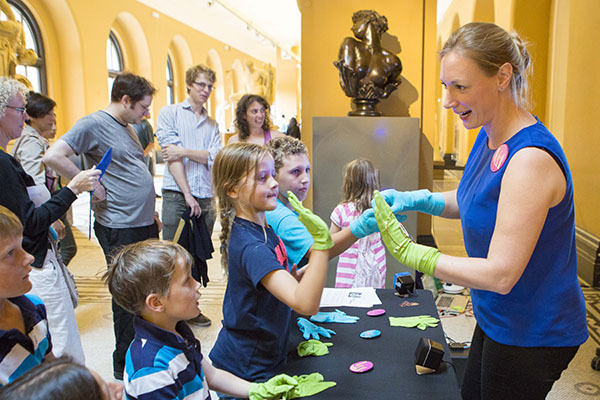 Every month on a Saturday, in the V&A Sculpture Gallery, Irini organises a Digital Design Drop-in session, where the public can meet digital artists and designers who explore the intersections of art, design, craft and technology. It is advertised as an opportunity to see new cutting-edge projects and chat with artists about their work, and on 30th August 2014, it was the turn of Money No Object to be on show. After an early start from Bristol, Seb Madgwick, Laura Kriefman, Phill Tew, Jonathan Rowley and I all arrived at the museum to test out our tech in situ for the first time, and to set up our equipment in the stunning and busy Sculpture Gallery. I felt really nervous about sharing the project so publicly for the first time, and just hoped that people would find the work interesting. 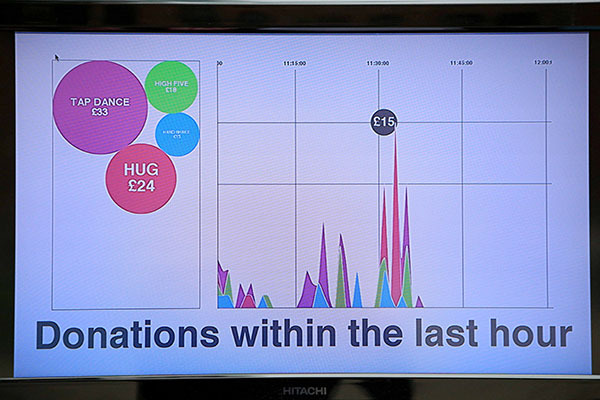 Fortunately, all the equipment and technology worked, and soon there were family groups and individuals crowding around the table to shake hands, give me a hug or a high-five, and to watch Laura tap-dancing donations onto the info graphic, shown on a big plasma screen which was connected to my laptop. 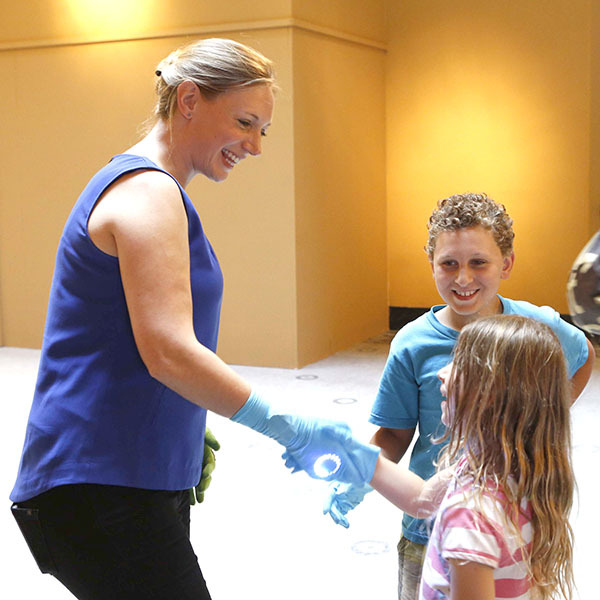 Generally, the high-five and the handshake were the most popular, until we encouraged people to have a go at the tap-dancing too. The hug tended to be offered in sympathy when visitors realised that not many people had chosen to give me a hugged donation!